Nestled on a farmstead in the North York Moors National Park at the lower end of Farndale, famous for its wild daffodils, Surprise View Cottages have been converted from barns alongside the historic buildings which were once a mill and tannery. The farmhouse and cottages are set against the backdrop of the moors behind. Surprise View cottages nestled in the beautiful valley. 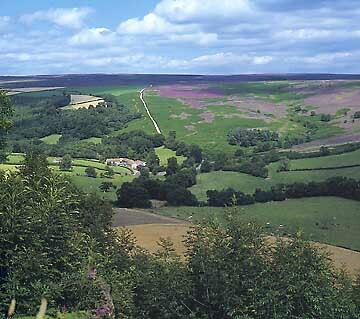 Surprise View cottages are an excellent base for exploring the North York Moors. You can walk out to moorland, fields, tracks, woodlands and a network of public footpaths including the Tabular Hills link walk; you can tour, or walk or cycle out leaving your car behind! Surprise View is the name of the well-known, panoramic view looking down from the church at Gillamoor; the cottages are only 1 mile from the picturesque village of Hutton-le-Hole with its sheep grazing the greens and the renowned Ryedale Folk Museum. Surprise View Cottages are central for cycling, walking and touring the area, being only 25 miles from York, Whitby, Scarborough and the east coast resorts. They have a wealth of historic abbeys, churches and castles on their doorstep as well as major attractions like Castle Howard, North York Moors Railway, Flamingoland and the Great Dalby forest. Shops, services and attractions in the nearby Market towns of Helmsley, Kirkbymoorside and Pickering and area, give days of happy browsing. Surprise View Cottage has flower troughs bordering the mill race running along one side and a South-facing paved patio area. A small balcony looks over a fenced lawned area to fields, woods and the valley of Farndale. Field Barn Cottage stands in the field up the hill, enjoying panoramic views over fields, woods and the moorland edge. 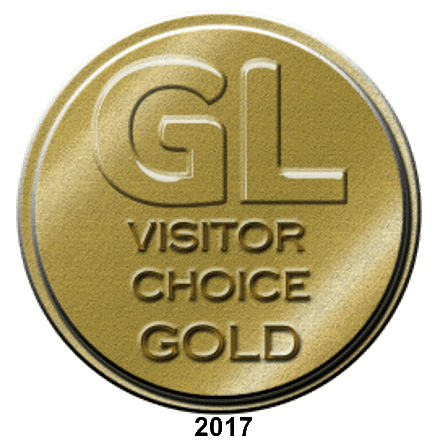 Whichever of the cottages you choose you will find that guest's needs are fully met; the cottages are all stylishly furnished but above all :- comfort is the keyword!